Welcome to Day #4 of Chocolate and Berries Theme Week. Today's Organic Dark Chocolate Covered Blueberries were from Torn Ranch (Petaluma, CA). 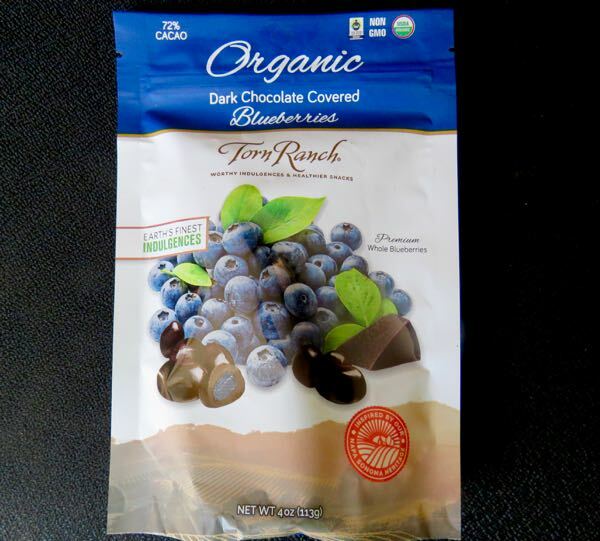 Dried, whole organic blueberries were enveloped in 72% cacao organic dark chocolate. I liked these round, glossy pieces; they weren't too sweet. 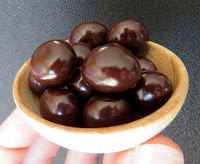 The blueberries also yielded a deeper, earthier fruit flavor than the chocolates with raspberry had earlier this week.